The Plaza modern single lever concealed manual valve, characterised by its sleek stylish handle which controls temperature and flow. Simply lift lever to introduce flow, adjust left or right to set temperature. 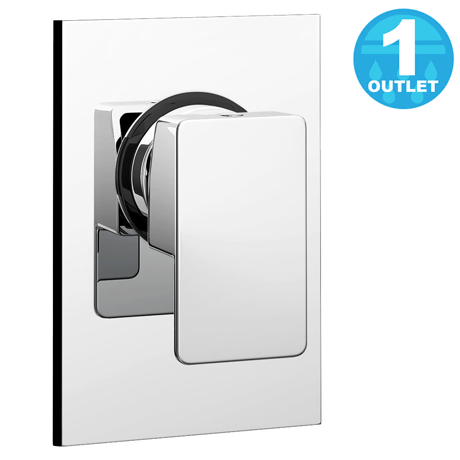 Operates one bath / shower accessory - bath spout, slide rail kit or shower head. A LOVELY shower valve and so modern. I love it.